Leonardo Martinez-Diaz is the Global Director, Sustainable Finance Center of the World Resources Institute. In this capacity, he leads our engagement with governments, development finance organizations, and private financial institutions to rapidly accelerate the shift to sustainable finance. He also guides and amplifies the Finance Center’s research, analysis and influence strategies, and oversees the technical support that the finance team provides across WRI. 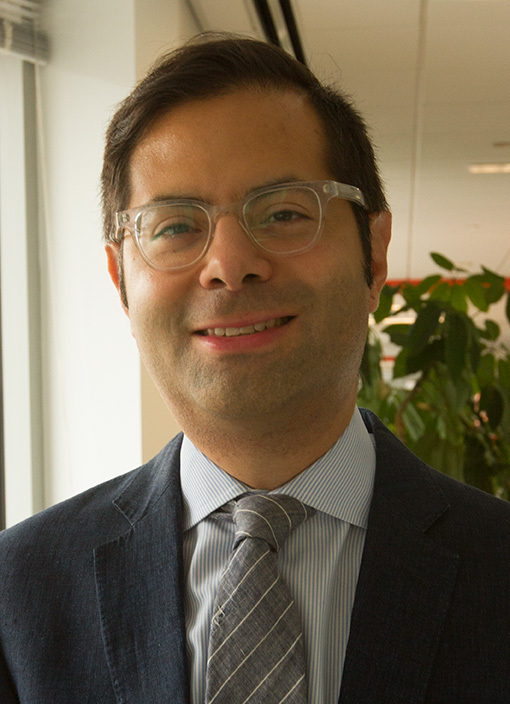 Leonardo joins WRI after six years at the U.S. Department of the Treasury. As Deputy Assistant Secretary for Energy and Environment, he was responsible for overseeing multilateral climate and environmental funds, directing Treasury's domestic and international work on climate finance, and leading on climate change elements of international negotiations, including at the G7, G20, UNFCCC COP, and the U.S.-China Strategic and Economic Dialogue. He stands out for his intimate knowledge of relevant institutions—he has worked for the IMF, World Bank and USAID, and served on the board of the Green Climate Fund—as well as his fresh ideas and force of intellect. He brings a wealth of international experience, including time in Indonesia and Mexico, and continues WRI’s tradition of close and trusting working relationships with all stakeholders, especially developing countries. China's set to spend hundreds of billions on infrastructure in other countries through its Belt and Road investments. It's said it wants them to be green—here's how they can live up to that ideal. Governments will meet Wednesday in Stockholm to decide how to replenish the Global Environment Facility (GEF), a fund that helps developing nations meet international environmental agreements. GEF grants finance everything from toxic chemical clean-up to biodiversity protection to anti-wildlife trafficking efforts. The World Economic Forum's new Global Risks Report is out and the results are clear: Business leaders are increasingly concerned about climate change's effect on their bottom lines. U.S. nonfederal leaders who support the Paris Agreement can help support the poorest and most climate-vulnerable populations. International Monetary Fund leaders have begun thinking about how to transition away from fossil fuels, but aren't yet incorporating climate impacts into their vital analyses. Here's how they can start. Multilateral development banks are key pistons in the climate finance engine, providing significant international financing for climate adaptation and mitigation and mobilizing private sector capital. Our analysis of the latest snapshot of MDB climate finance for 2016 offers cause for celebration – and concern. INSIDER: What Should President Macron’s Climate Summit Deliver on Finance? French President Emmanuel Macron's planned summit in December, two years after the Paris Agreement, aims to foster more climate action, notably on the financial front. Here's what the summit can deliver to boost the global climate finance system.